Successfully Added Bluetooth Phone Adapter - Wired Phone To Bluetooth Phone to your Shopping Cart. Super cool Bluetooth adapter for transforming any standard wired telephone into a Bluetooth transmitting device that can be picked up by Bluetooth remote devices for completely wireless phone calls. 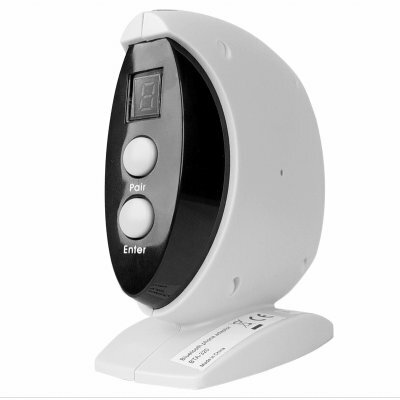 If you love the pricing of PSTN phone calls over mobile phones in your office or home, but hate having to constantly pick up the receiver to answer the calls, this is the gadget Bluetooth device you have been waiting for. Installation is a snap, needing only a standard phone and a phone jack to get started. Pair this device with up to 8 different Bluetooth headsets, and every time a phone call comes in, just answer the headset and speak wirelessly. As an added bonus, you can directly plug this Bluetooth adapter into your PC for wireless headset VoIP calls using Skype, MSN, Yahoo and more. One of the coolest Bluetooth devices you will ever see out of China, this wholesale item is a perfect addition for any sellers catalogue , and with no MOQ buying even a single order for testing or personal use is fast and easy..